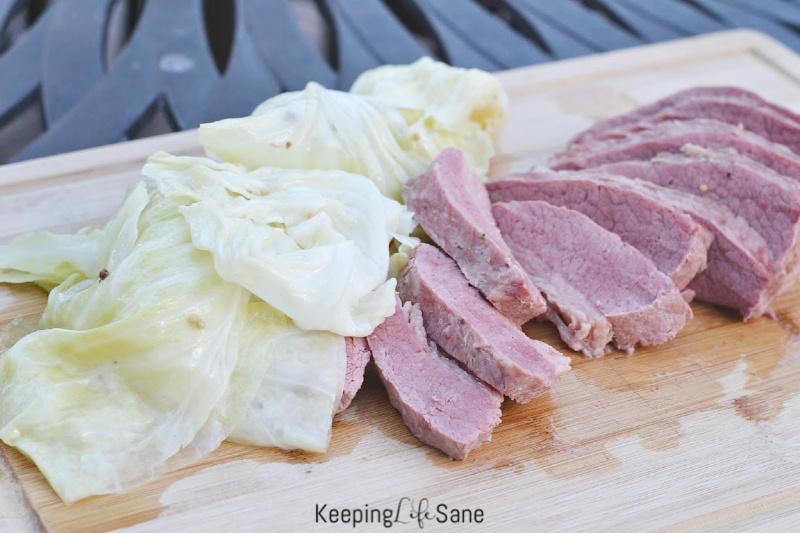 Corned beef and cabbage is one my families favorite meals. We actually have this throughout the year, at least once a month. It takes a while to cook, but it’s so easy. I usually make this on the nights where I don’t have to be anywhere or it’s my husbands turn to take the kids to practice. I find around St. Patrick’s Day that corned beef is expensive. I can only find the larger cuts of meat and I can’t afford $15 for a week night meal. If you shop early or any other time of year you can find smaller corned beef roasts that are still large enough to feed a family of 5. I usually spend $7 or $8. 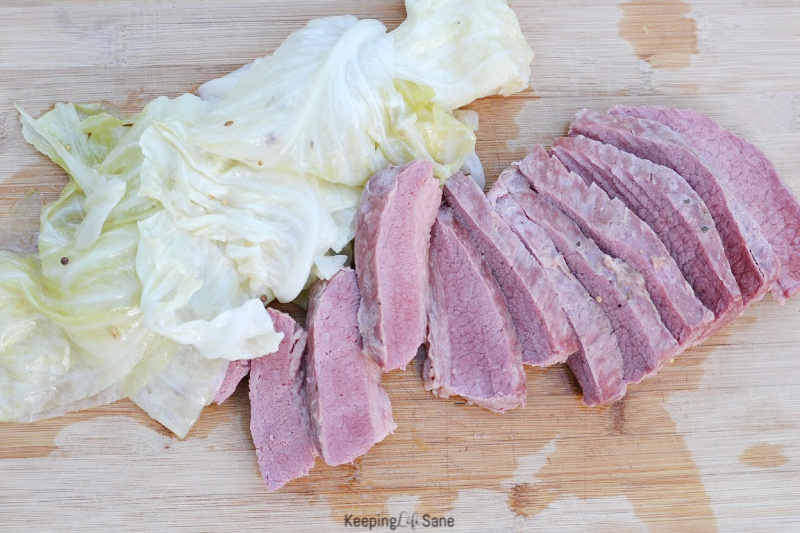 This is a super simple meal to make, it just takes time for the corned beef to cook. My house smells like an Irish pub (so good)! I usually serve with mashed potatoes. This is FANTASTIC left over for sandwiches (if you have any left). All my children love this meal and they clean their plate. I usually make Irish soda bread once a year for St. Patrick’s day to go with it. Corned beef roast- any size works. 2 bottles of beer- The darker the better. Add 2 beers to a large pot. Add corned beef. Mine comes with a spice packet and I add that in. Yours probably will too. Fill with water until the roast is submerged. Bring to a boil. Cover and simmer for 2 hours. 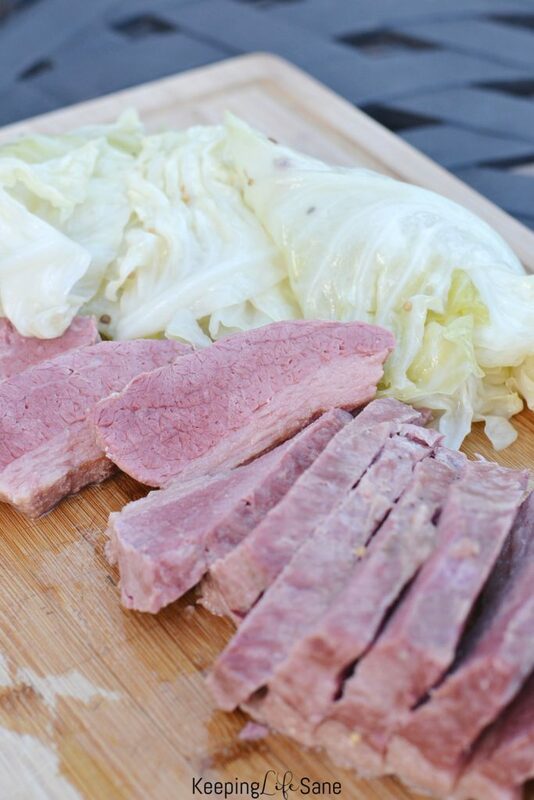 Corned Beef and cabbage isn't just a meal for St. Patrick's Day. We eat this delicious meal about one a month. 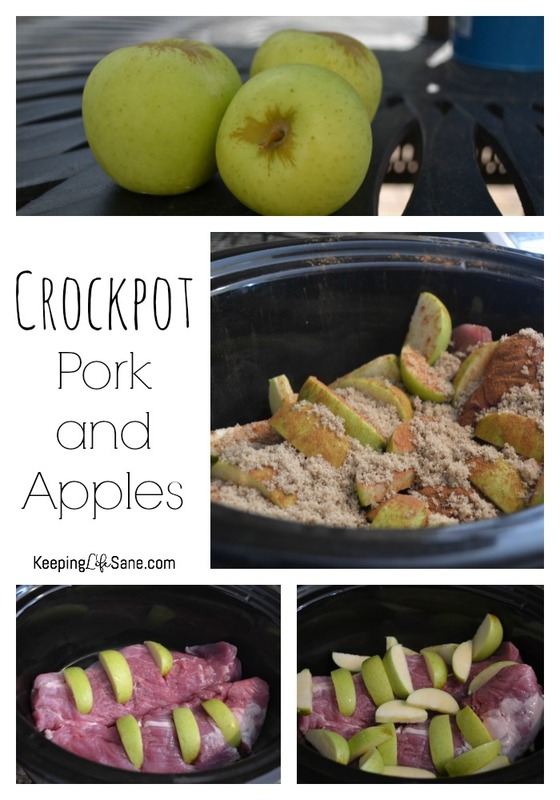 It's a simple, one pot dish.